Provide relief for your staff. Standing for long periods of time in one position can cause health issues such as discomfort, tiredness and soreness and can put your employees at risk for foot and lower limb disorders. Eventually, employee discomfort translates to more sick days and lower productivity. Anti-fatigue mats can help! While many industries unfortunately require prolonged standing, you can mitigate discomfort and even pain by investing in anti-fatigue mats and cushion mats from Golden West Betterway Uniforms. Our industrial anti-fatigue mats combat physical fatigue by promoting subtle movements in the legs and feet and stimulating blood flow throughout the body, ultimately reducing stiffness and fatigue. Anti-fatigue mats make your employees happier and healthier, which results in a happier and healthier business. Plus, all of our floor mats have been certified as “high traction” by the National Floor Safety Institute (NFSI). If your employees are spending long days on their feet, consider investing in cushion mats. They’ll improve your staff’s comfort, energy and morale by providing an extra layer of cushioning between your employees’ feet and the floor, reducing discomfort and stress on the lower extremities. Plus, they protect your floors. Golden West anti-fatigue mats may be the most durable and versatile mats on the market. 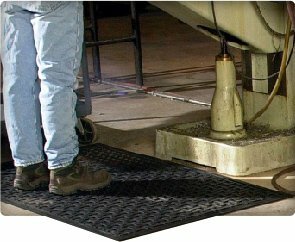 Constructed of 100% nitrile rubber for superior grease and oil resistance, our anti-fatigue mats are anti-microbial, meaning that they’ve been treated to guard against decay from microorganisms. We provide high-quality floor mat solutions for hotels, restaurants and facilities throughout San Mateo, Palo Alto, East Bay and San Francisco. 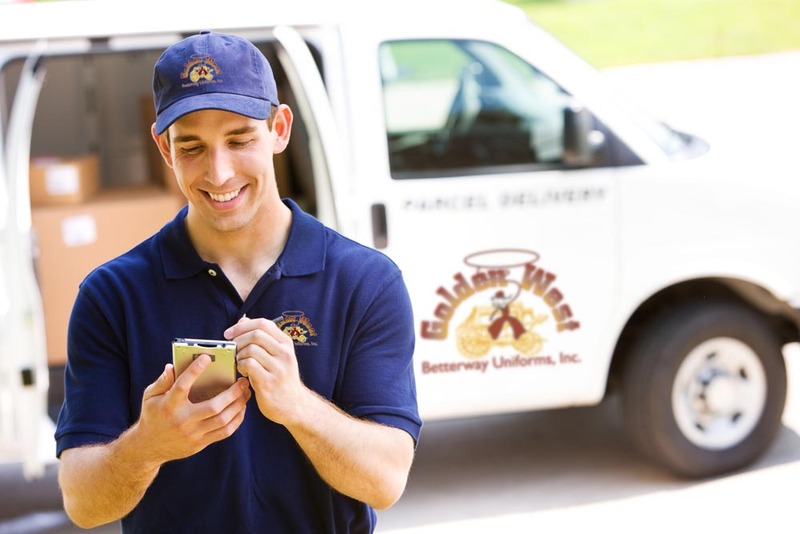 With our rental service, you won’t have to worry about purchasing, replacing, or cleaning your anti-fatigue floor mats. Our anti-fatigue floor mat rental program is designed to relieve stress in every way possible, from the physical stress of standing for long periods of time to the mental stress of managing your floor mats. Looking for additional mats? We also offer a variety of other mat options for every area of your facility! Choose from our carpet décor mats, logo mats, scraper mats, kitchen mats, message mats and safety message mats to provide protection for every inch of your business space. 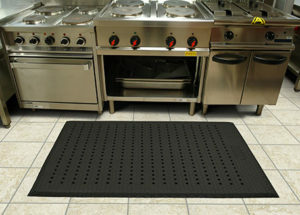 Our custom mat solutions will improve the safety and the cleanliness of your establishment.